Providing a range of traditional and contemporary memorials in stone for burial and cremation plots. Following the Funeral of a loved one, you may wish to erect a permanent and lasting memorial to mark their final place of rest. Edward John Funerals works closely with Sister Company 'Hickton Stonemasonry' and offers a range of over 150 Memorials in Stone ranging from Traditional and Lawn Headstones to Cremation Plaques and Flat Tablets. 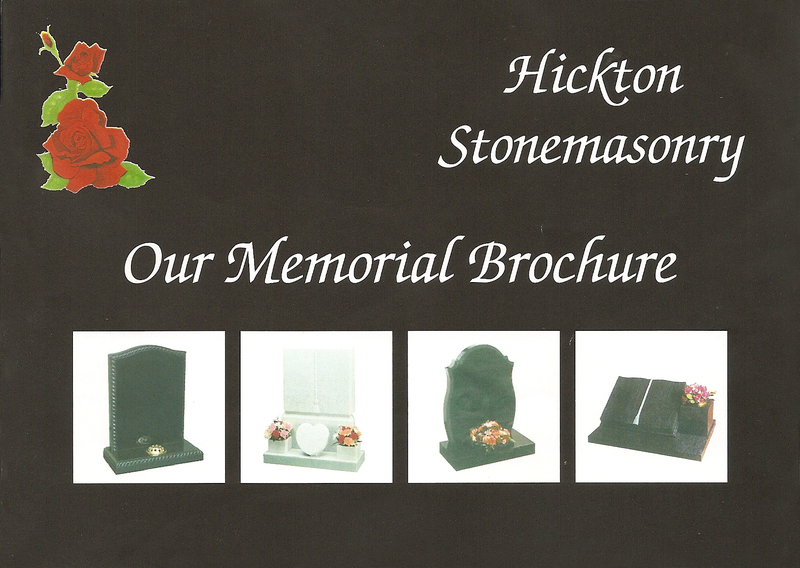 Listed below is the complete brochure of Memorials available. 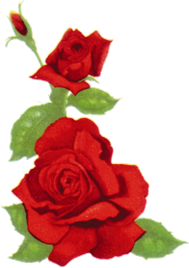 Prices quoted include Lettering / Engraving of the stone (up to 100 letters), a flower container, and fitting of the stone in the cemetery of your choice to the N.A.M.M Fixing Standard. Additional letters, engraved or Laser etched designs, ceramic photo plaques, flower containers etc are available at additional cost. *All prices are + V.A.T. Any of the items in this catalogue are available in any colour. 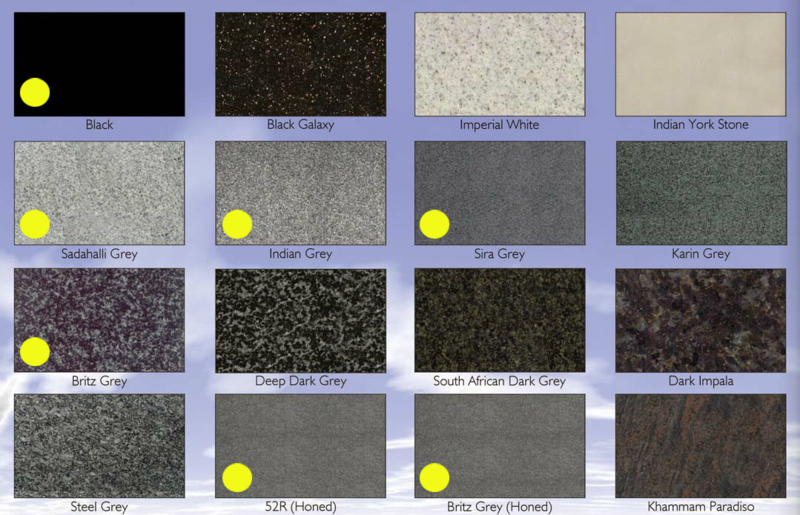 Prices quoted are for basic colours (indicated on samples below by yellow marks) 'Premium colours' vary in cost, please enquire by calling or using email on 'contact us' page. Payment plans are available (depending on individual circumstances), please ask if you require any further information. 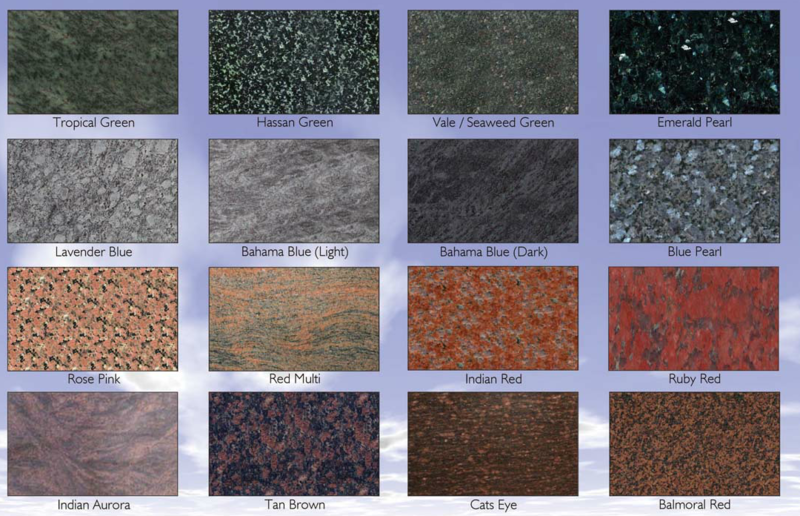 Sample colours represent the general appearance of the stone. Variation in colour & structure are part of the nature & are therefore unavoidable. Web browser, screen quality and brightness may also affect appearance.